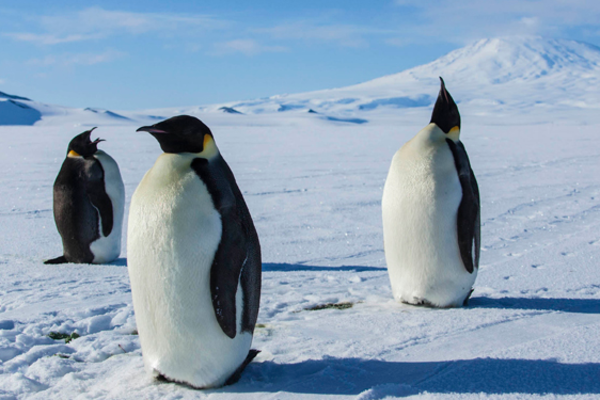 Eugene, Ore - The Eugene International Film Festival is proud to present “"Antarctica: A Year On Ice" in an April 21 FREE screening at Thinking Tree Spirits. International communities of friendship like no others on earth inhabit the vast continent found at the South Pole. Join with like-minded adventurers as Antarctica beckons you. Seating begins at 6 p.m. is limited to first come, first seated. Showtime is 7 p.m. for this extraordinary 92-minute documentary. This film was ten-years in the making and then edited to a one-year in the life story featuring the best parts. Filmmaker Anthony Powell created custom camera components needed to survive the ravages of extended periods of Antarctic weather while continuing to capture stunning images. The film received rave reviews worldwide and was recognized as the Best Documentary Feature at the 2013 EIFF. A tailgating party with couches and flat screen on the snow covered ice under a blazing summer sun, an international film festival, marvelous humor, stars and awesome auroras are a few of the images that will cause you to burn with desire for an adventure in Antarctica. Those who have visited the north and south polar regions are few, but they are true believers in the quality of life found there. There will be a Q&A following the screening.